February 20, 2018 Newsletter – We Will Rock You This Saturday! You are here: Home / Newsletters / February 20, 2018 Newsletter – We Will Rock You This Saturday! Pre-order your copy to be picked up the day of the event for book signing! Call us at 913 385-1234. 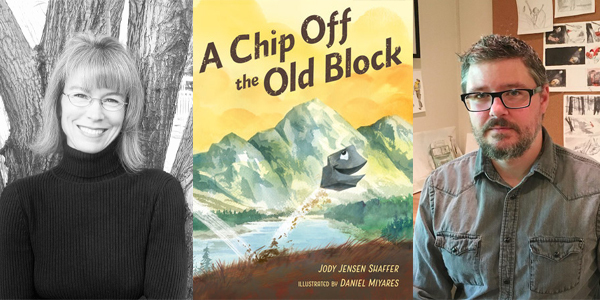 Chip Off the Old Block Is the NEW book from local author Jody Jensen Schaffer and local illustrator Daniel Miyares. This talented Kansas City team really know how to “rock it” when it comes to children’s books! 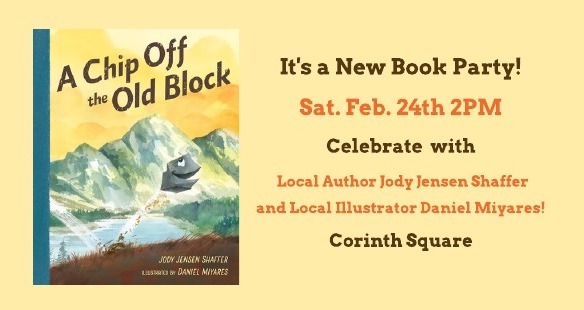 Spend some time with Jody and Daniel as they share the process of writing and illustrating this wonderful NEW book. About the Book: Plucky pebble, Rocky, shows true grit as he travels the country trying to find out if he fits in with any of his famous rock-formation relatives. Rocky comes from a long line of rock stars! Uncle Gibraltar, Aunt Etna, and Great-Grandma Half Dome are just some of the legendary rock formations he calls family. It is no wonder he wants to matter in a big way too–but it’s not easy trying to get a foothold. Rocky gets tossed by The Wave and driven away at Devil’s Tower–but he’s determined not to allow these pitfalls to chip away at his confidence. Rather than feeling crushed, he keeps on rolling, hoping to become the rock-star he knows he’s meant to be. 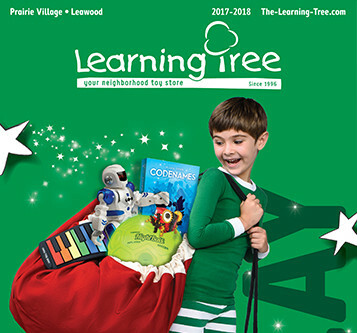 Just a few days left to use your February Catalog Coupon that was included in your Holiday Toy Catalog. Enjoy $5 off your purchase of $35 or more or $20 off your purchase of $100 with your coupon good through February 28th! Share the love! Forward this email to a friend! Check out our website or our FaceBook page for an up-to-date listing of events and activities. Questions? Give us a call 913-385-1234.